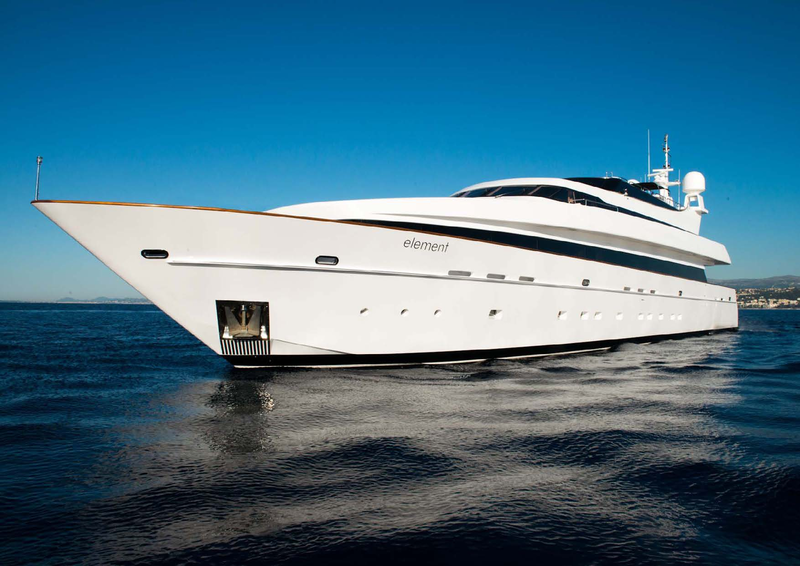 Motor yacht ELEMENT is a yacht measuring 42,70m (140' 1") built by Cantieri di Pisa in 2002, she was refitted in 2017, the yacht features in-house naval architecture and interior design, in collaboration with Frederic Mechiche. 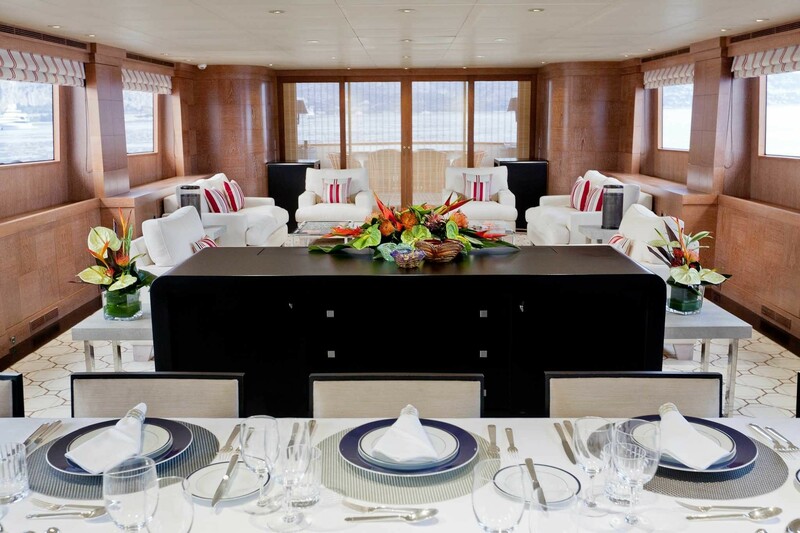 She accommodates 12 charter guests, over 6 cabins. 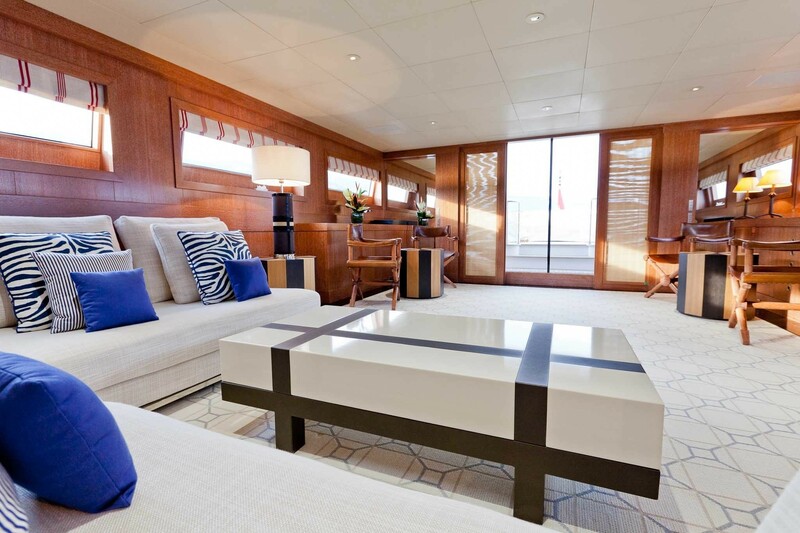 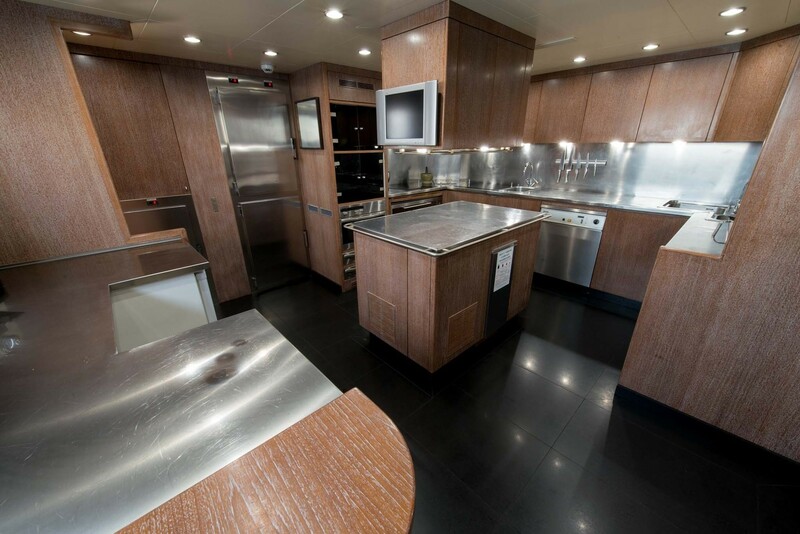 The yachts interior décor is light airy and contemporary. 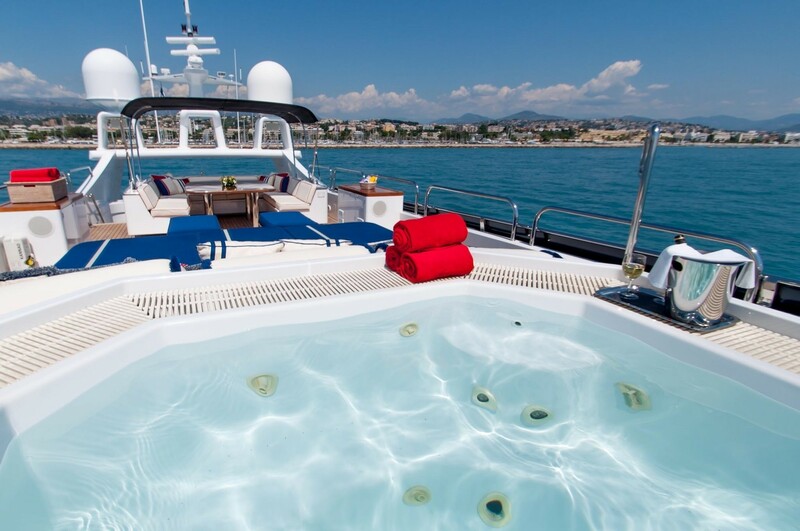 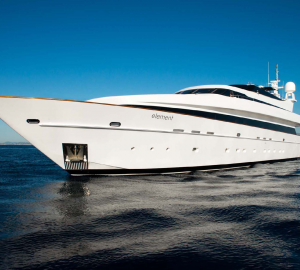 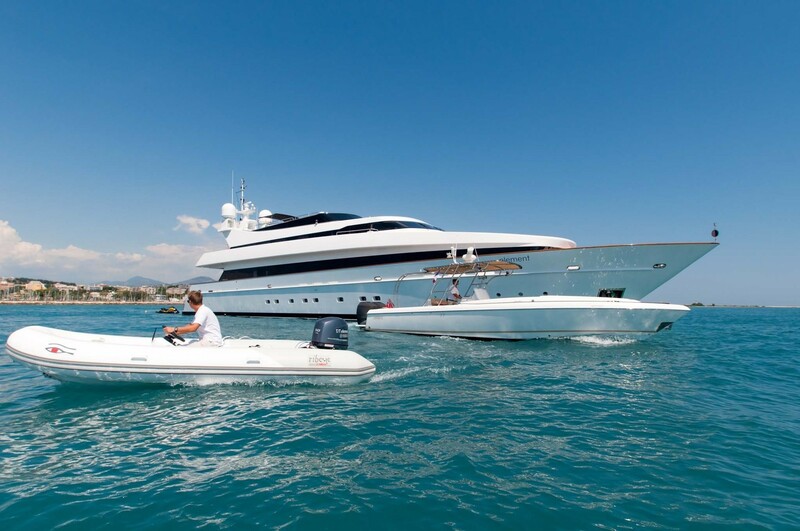 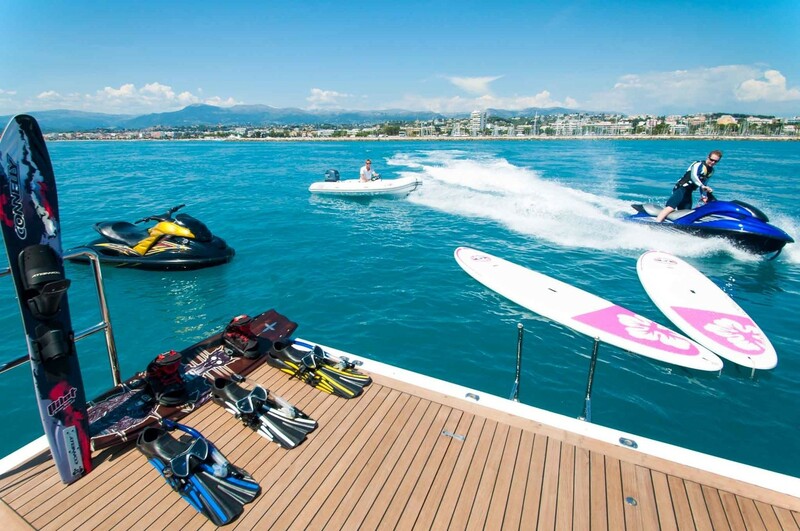 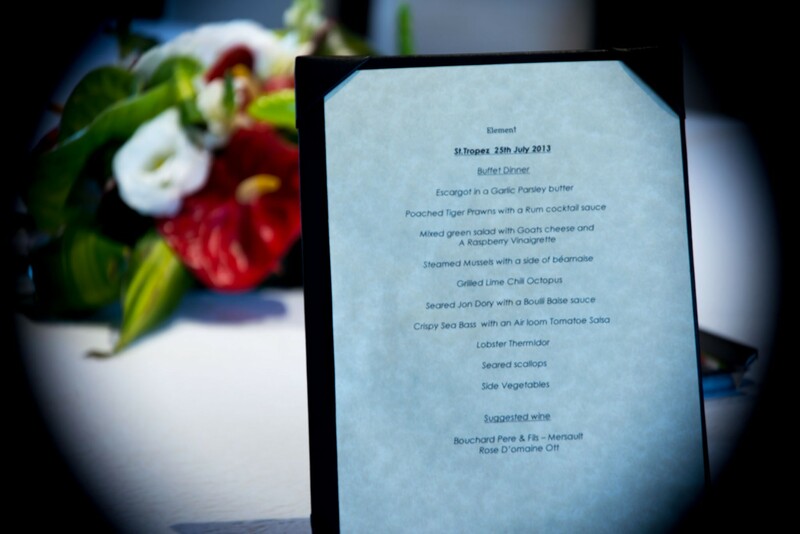 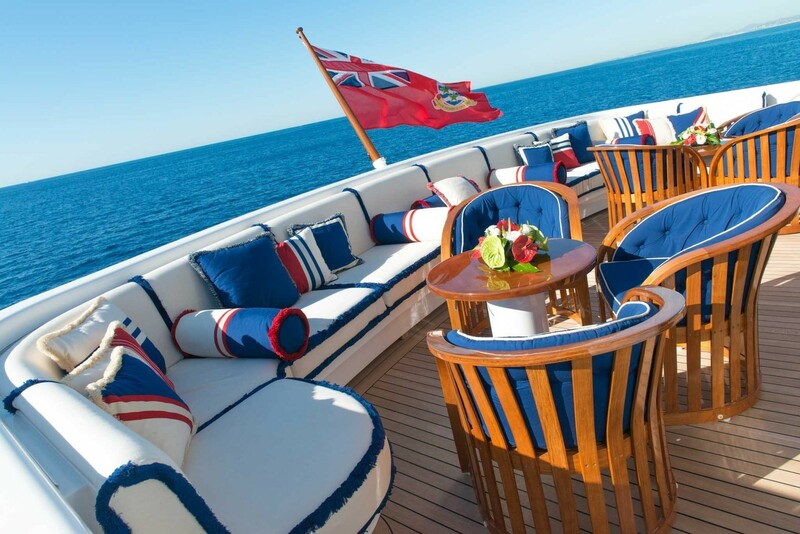 She boasts 2 spacious social areas ideal for luxury charters. 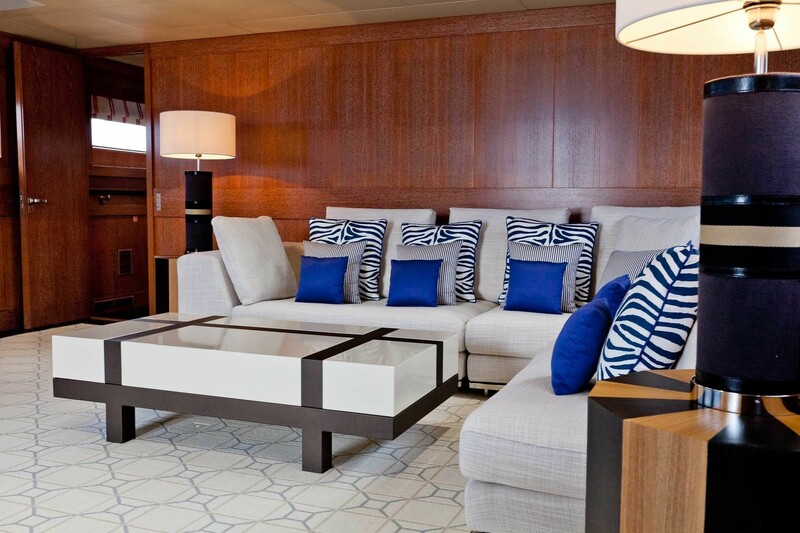 Her main salon is adorned in sumptuous soft furnishings of plush sofas and armchairs, in a crisp white, with lovely red accents. 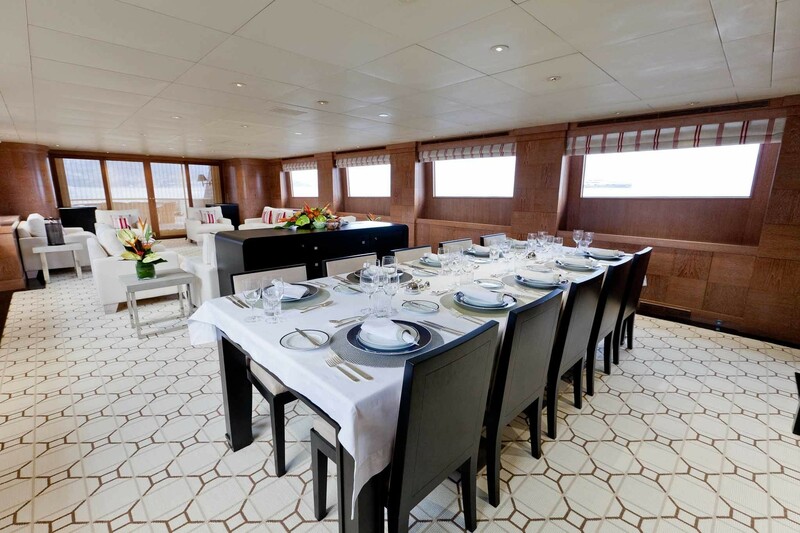 Laid in an open plan, the formal dining table is situated forward. 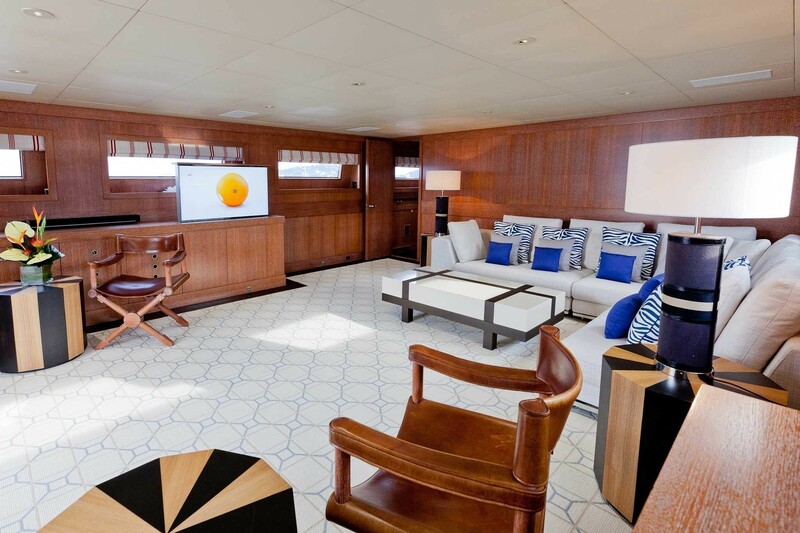 Warm wood panels and bespoke flooring, are illuminated by plenty of natural light from the surrounding panoramic windows. 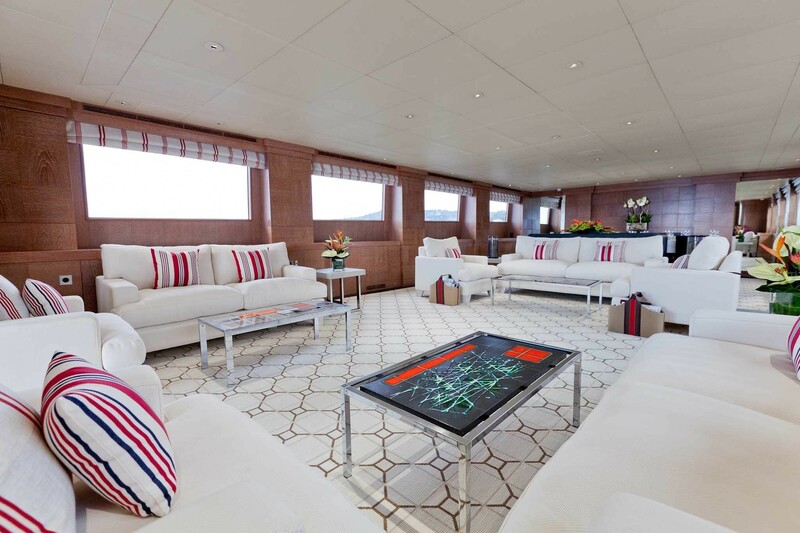 An upper sky lounge has a casual ambiance, where guests can relax and enjoy the full entertainment systems, or simply sit back and unwind. 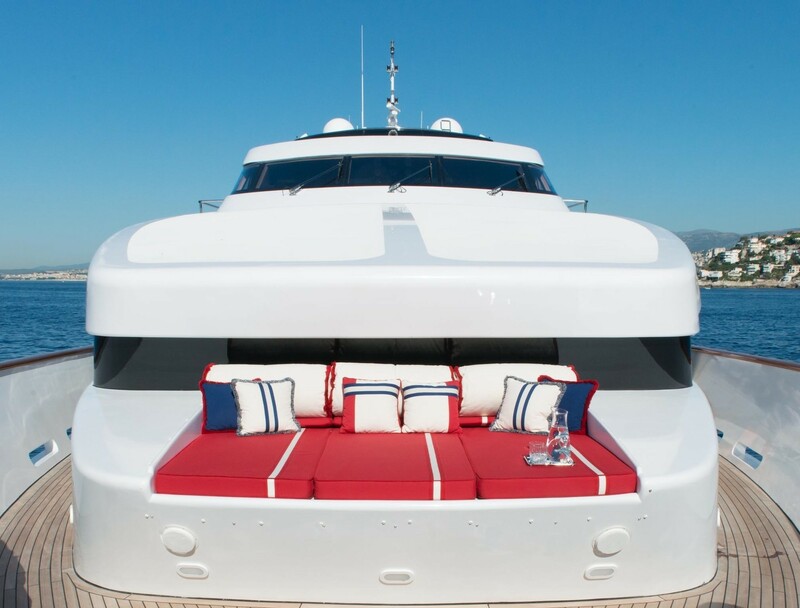 Offering three exterior decks, M/Y ELEMENT has functional and charter-friendly outdoor living spaces. 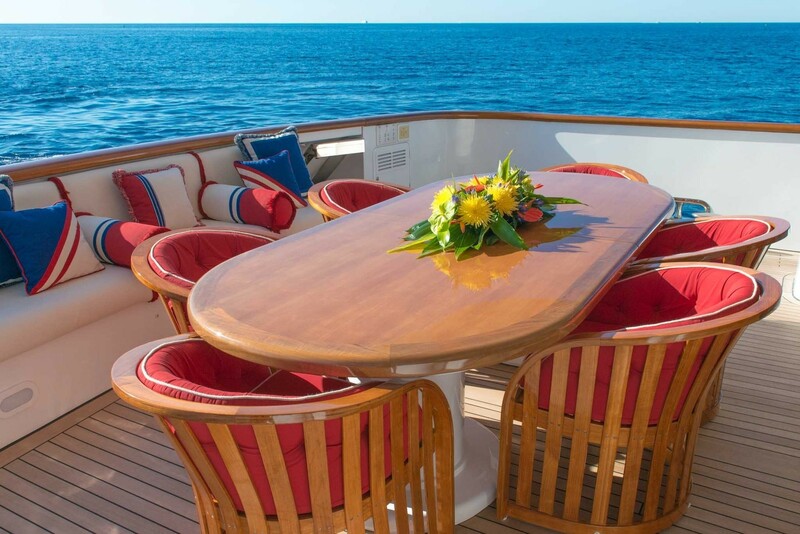 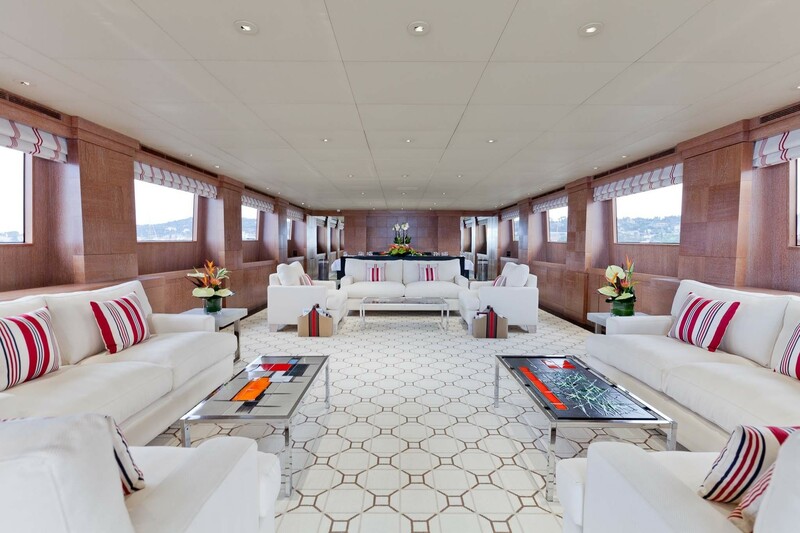 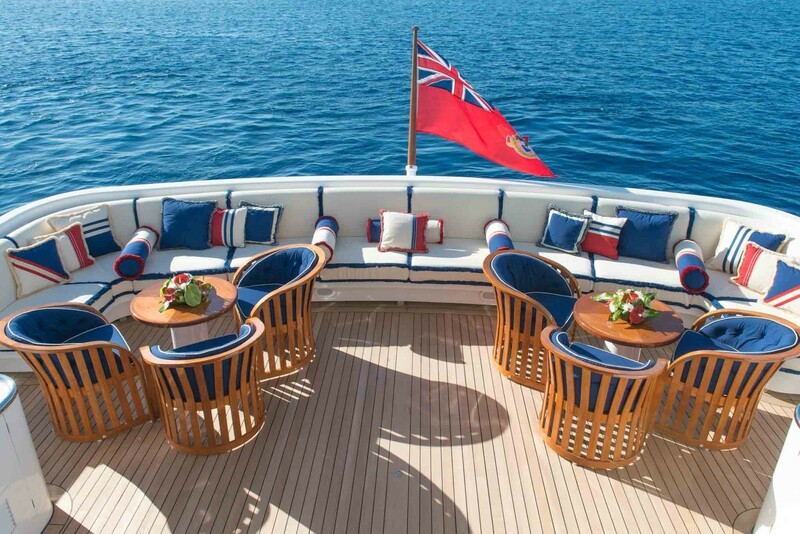 On the main deck aft of the salon, is an alfresco dining table and built-in seating. 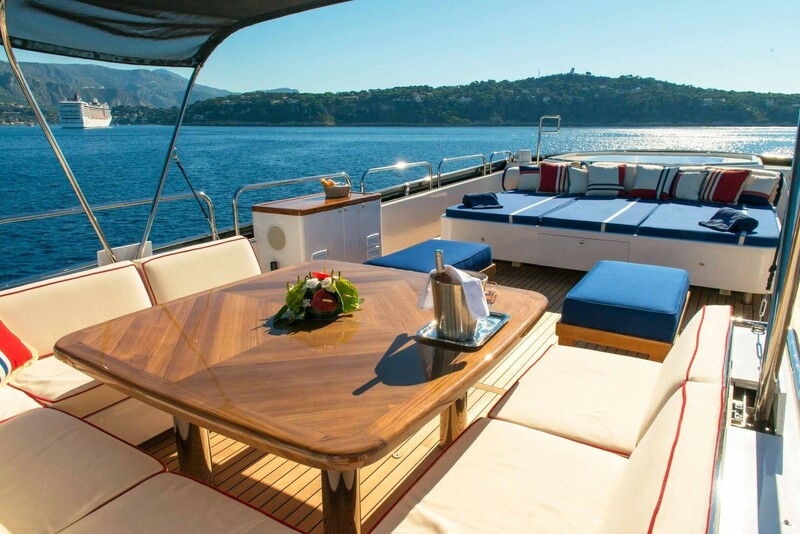 Her upper aft deck is adjacent to the sky lounge and features a generous seating area and cocktail tables with teak chairs, the perfect area for evening cocktails and canapes. 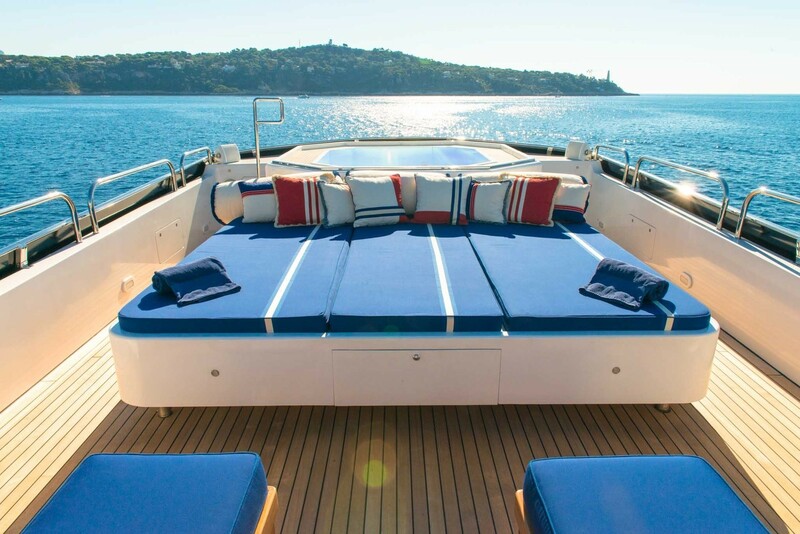 The sundeck is well-appointed complete with sunpads, seating, alfresco dining and a deluxe Jacuzzi. 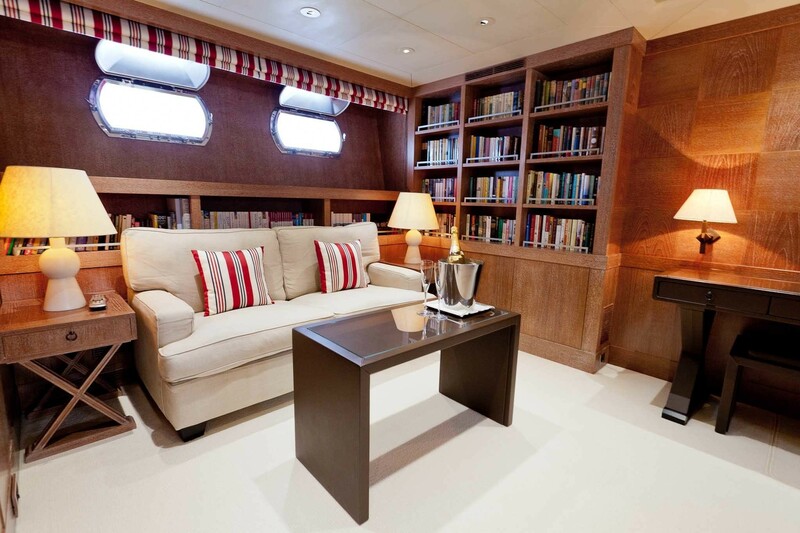 For a quiet escape, there is a cozy sunpad and seating area on the main deck forward. 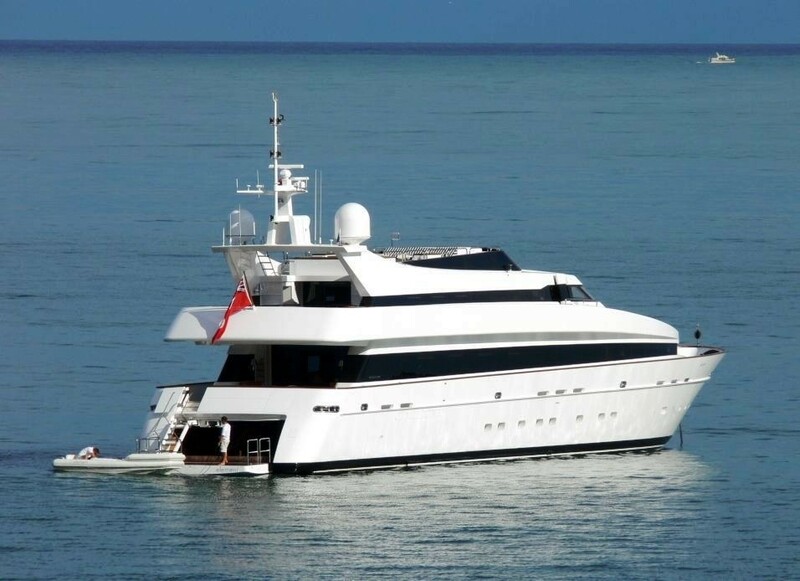 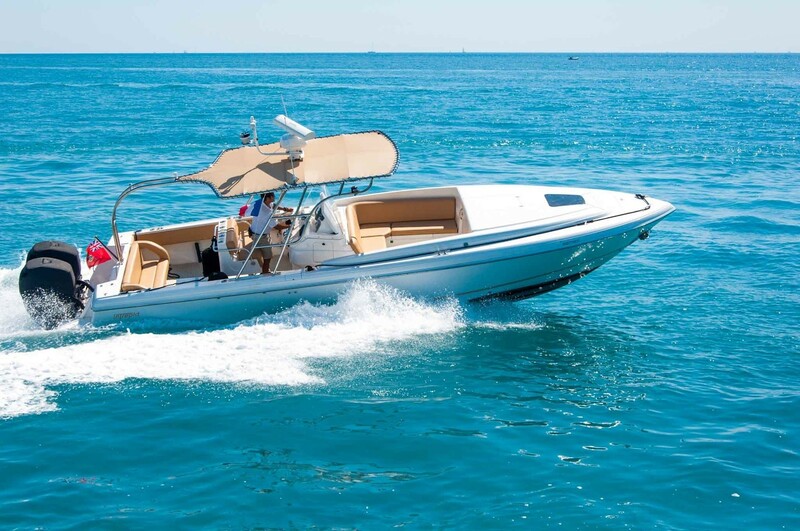 Yacht ELEMENT is capable of cruising comfortably at 15-20 knots, thanks to her twin MTU 16V 3700hp main engines. 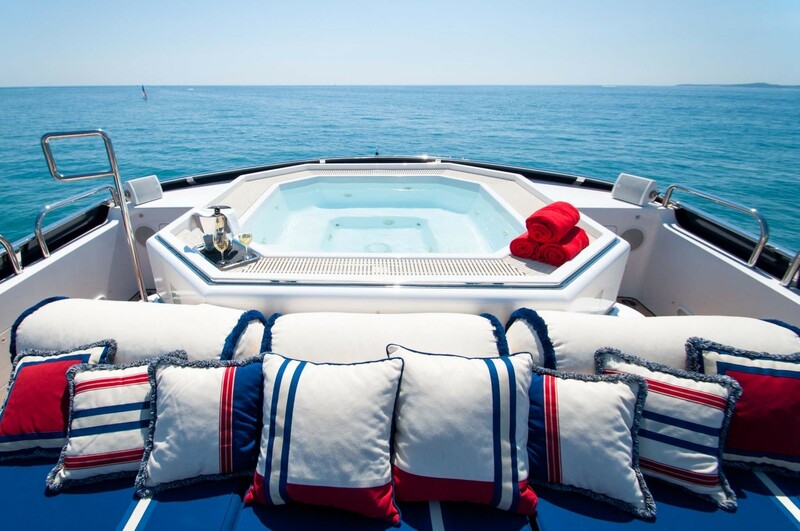 The enables the yacht to complete ambitious itineraries reaching far off destinations or faster voyages within the nearby Cote d'Azur. 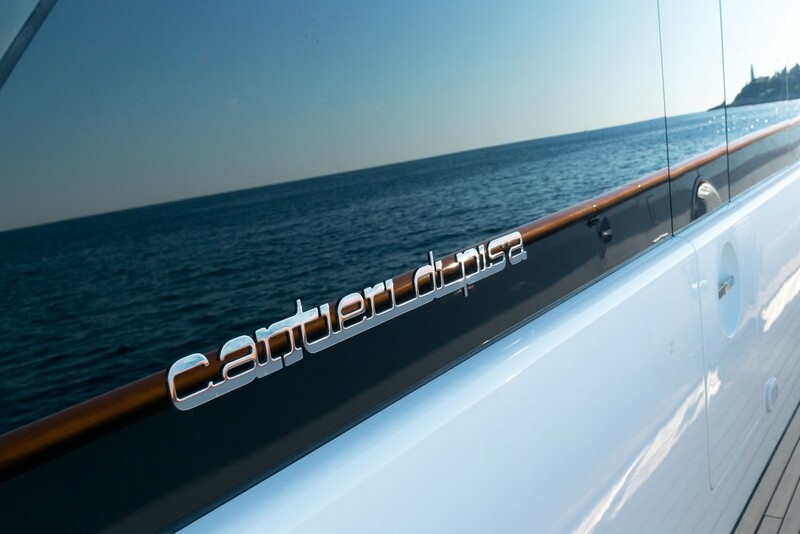 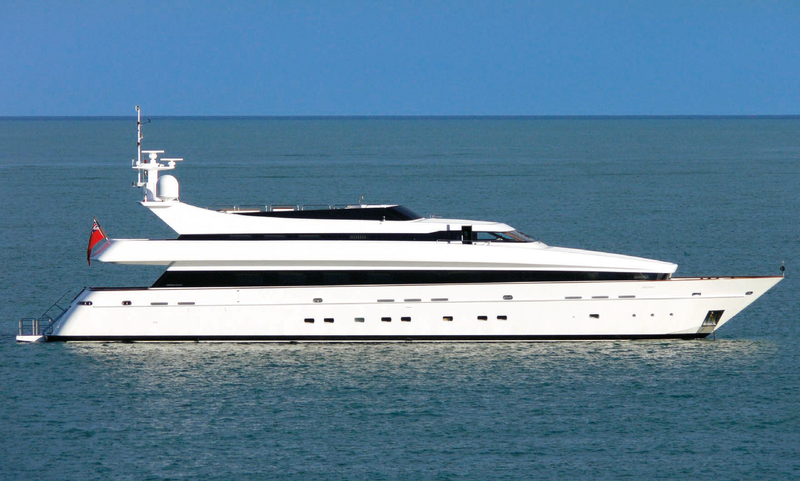 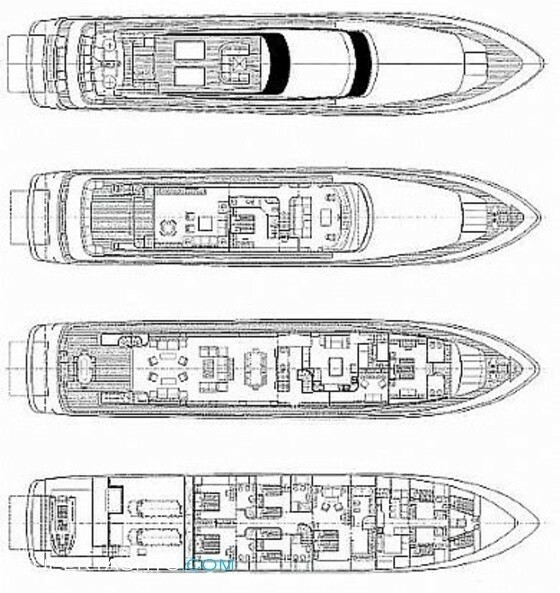 The Cantieri di Pisa motor yacht ELEMENT can accommodate 12 guests in 6 cabins. 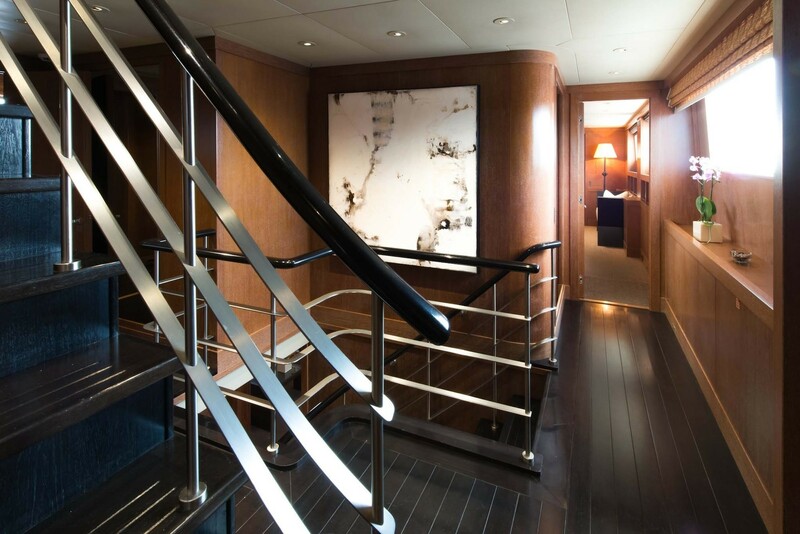 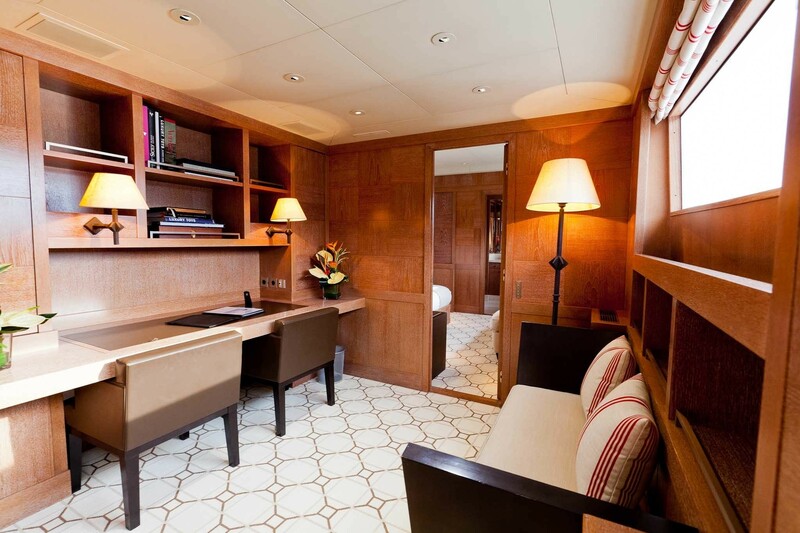 Her Owners' stateroom is located on the main deck forward with an office with a seating area. 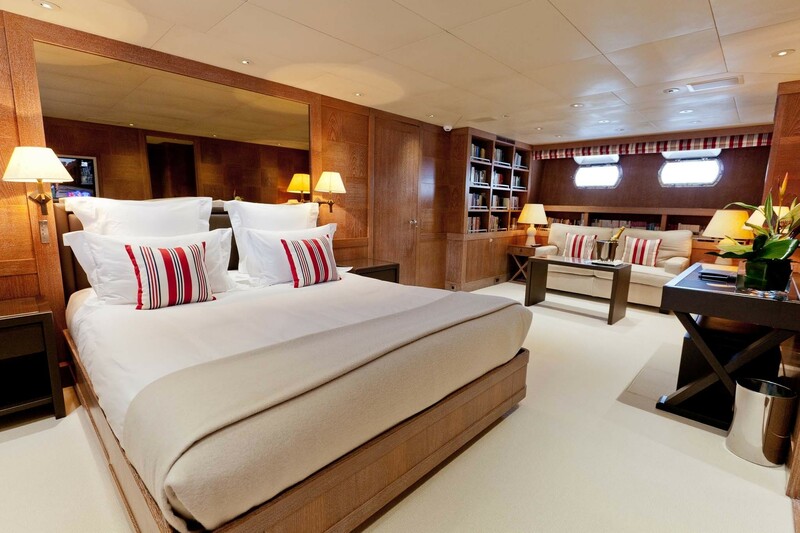 The master suite measures around 16m and features a double bed, a walk in changing area with a floor area of 1.5m sq and identical his and hers bathrooms measuring 3m sq each that share a 1.2 m sp double shower. 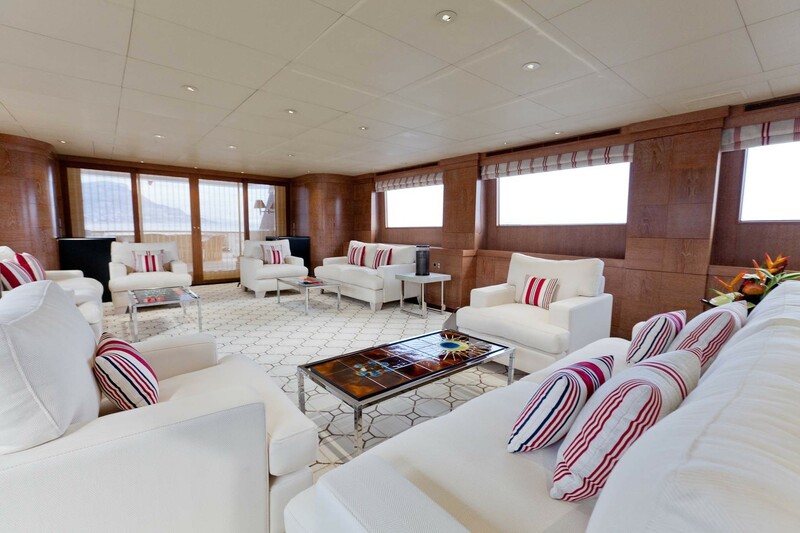 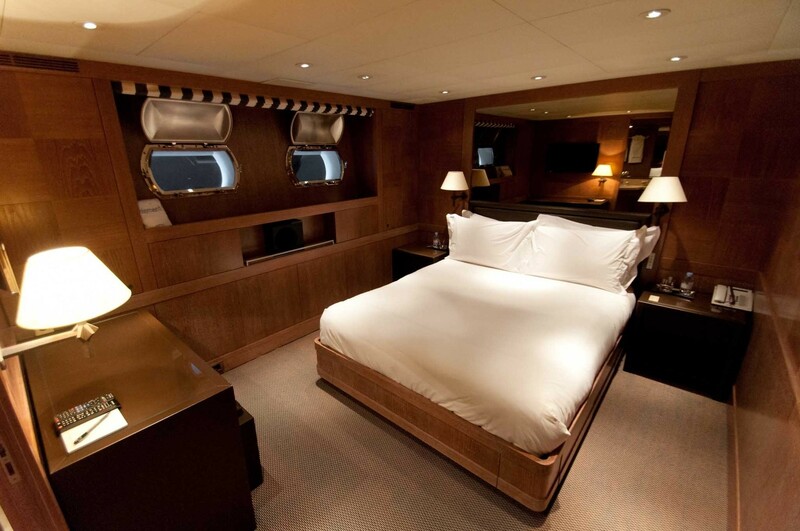 The Master cabin boasts panoramic windows port and starboard with tinted glass and privacy screens. 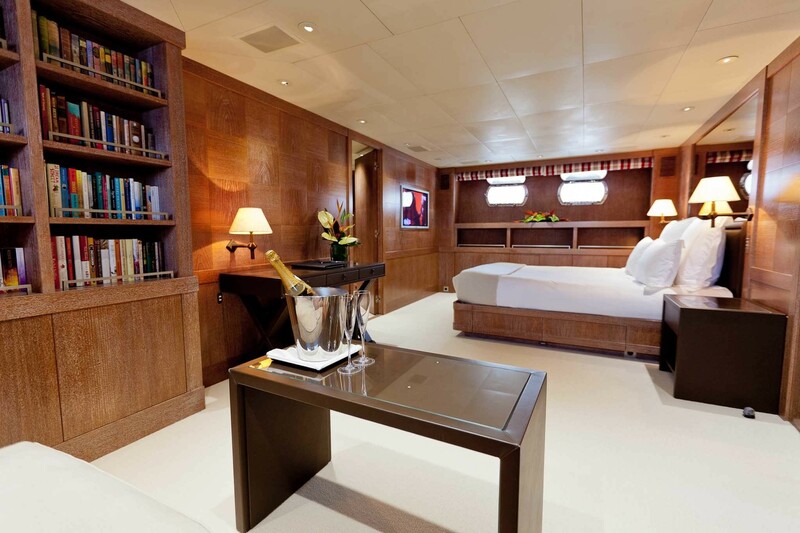 The full-width VIP stateroom located forward on lower deck features a double bed to starboard with seating area to port and occupies some 20m sq. 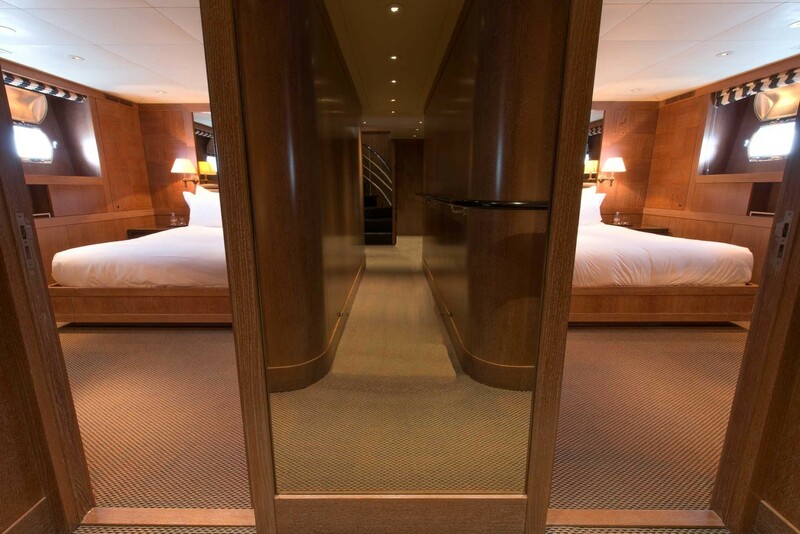 The walk-in changing area has a floor space of 3m sq and leads into the bathroom measuring 7m sq. 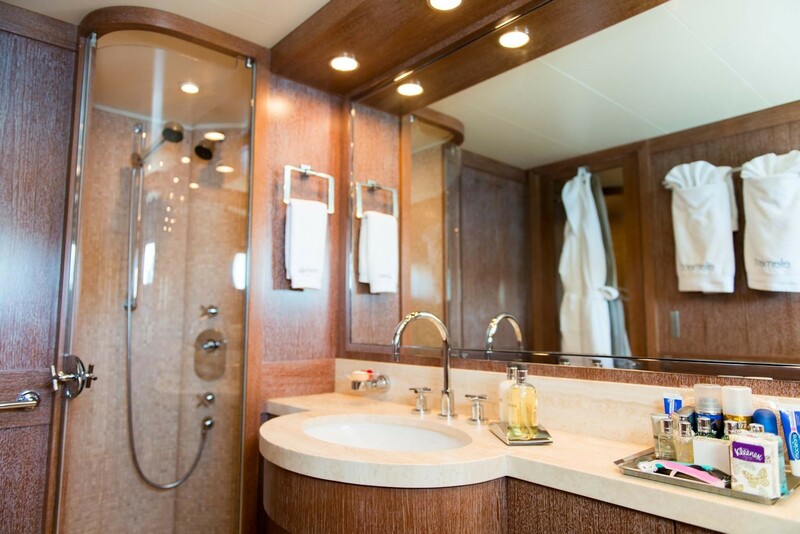 The ensuite has his and hers sinks a separate shower and a Spa Pool bath, bidet and toilet. 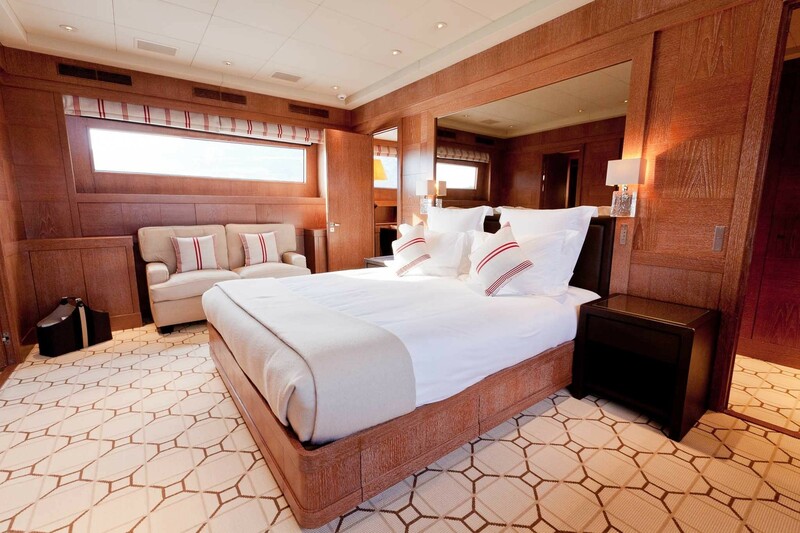 There are also two twin guest staterooms and two double bed guest staterooms, each with full en suite facilities.